Have you ever entertained the thought of quitting Facebook? And how quickly did you dismiss this idea? Most of us don’t realize it right away, but we’re pretty seriously invested in Facebook. Once we have been hooked in, it is almost impossible to let go. Even if you are not that active, you are probably using a bunch of passive Facebook services. Are you even aware of how deep you have slipped into the comfy confines of social networking? Before you think about leaving, find out what it is that you got yourself into! Remember why you joined Facebook? You probably wanted to keep in touch with all those special people. Maybe you wanted to find out more about someone, but had to join Facebook and friend them to see their profile. Whatever the reason, I’m pretty sure you were curious and wanted to see what it is all about and what everyone was talking about. Yes, peer pressure probably played into it as well. There is nothing like Facebook to send a quick message and say ‘hi’ to someone. Email can be so daunting, but a Facebook message can be short and simple, it’s more like a chat anyways. And if your friend happens to be online, you can simply IM them. You want to stay in touch with people or at least have the feeling that you still have a connection with someone. It’s probably Facebook’s most compelling feature as it makes people both join and stay. After all, almost everyone you care about is there and it’s so easy to add more people to your collection of friends. What would other people think if you suddenly didn’t use Facebook anymore? Well, frankly, the worst that could happen is that they wouldn’t even notice. In any case, they would probably get over it and forget about you pretty fast. To be insignificant and forgotten is what scares you most. No, you literally Like to be Liked! You enjoy being part of the group and want people to take notice of you. Nothing boosts the ego like receiving a Like. For many people, Facebook is much like a personal archive. It stores personal memories like photos, status updates, and messages from others. Imagine you lost all that. Fortunately, you can download a copy of most of what you have shared on Facebook How To Bulk Download Your Facebook Data & What Information The Archives Contain How To Bulk Download Your Facebook Data & What Information The Archives Contain Following a European court decision, Facebook recently upgraded the feature that allows users to download an archive of their personal data. The archive option has been available since 2010 and includes photos, videos, and messages,... Read More . The archive includes photos and videos you have shared, wall posts, messages, chat conversations, friends names, and most email addresses. Unfortunately, it’s not possible to restore this information to a new account. Are you maintaining a Facebook page as part of your job or freelance career? Facebook owns you right there and you know it. 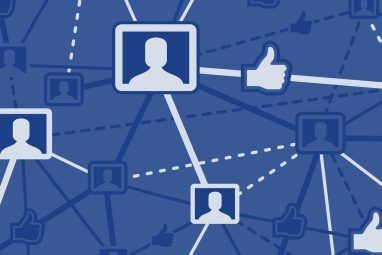 Facebook not only knows the birthdays of most of your friends, it also reminds you of them on site, via email, or through your connected calendar. And if you don’t see your friend personally or forgot to send a card, it’s acceptable to congratulate them via Facebook. No more hard feelings; at least you did think of them on their Birthday. Or was it Facebook? If you do decide to quit Facebook, remember to export your friends’ Birthdays How To Get Your Facebook Birthdays Into Google Calendar Without Apps How To Get Your Facebook Birthdays Into Google Calendar Without Apps Are you sometimes a little forgetful when it comes to your friends' birthdays? Or do you just like having all the important dates filed away in the same place? Whichever category you fit into, you'll... Read More first! It has become common practice to organize, announce, and invite to events via Facebook. If you’re not on Facebook, you will most likely miss out. That’s unless you hear about the event via other avenues. Ask yourself how likely that is to happen. When you leave Facebook, all existing events that you have been invited to will disappear from your connected calendar. For a smooth transition, be sure to export your Facebook events. Social logins are extremely convenient. On how many websites did you use Facebook to sign up, rather than creating a separate account? And do you really want to visit several dozen websites and update your account with new login information? Well, if the answer is yes, go to your account’s App Settings to get an overview of where you have been using Facebook to sign in. Facebook is convenient, but also sneaky. Did you permit it to sync your friends’ contact data to your phone contacts? I bet half your address book is provided by Facebook. It couldn’t be easier; after all your friends are curating their own contact data for you. However, if you ever lose access to Facebook, you’ll notice how much you rely on that information. Facebook doesn’t allow you to directly export your friends’ contact data. However, you can import it into other accounts, including Yahoo! Mail, but not Google. It takes a lot of determination to quit Facebook. If you have relied on a lot of Facebook’s services, you need to export data, set up new routines, and find other ways to socialize online. Staying in touch with everyone will be the hardest part. You might even have to drop a few friends. However, if this frees up more time for real friendships, then that’s actually a good thing. In any case, you better have a Plan B because sometimes Facebook quits on you How To Get Banned From Social Networks How To Get Banned From Social Networks The Web has opened up lines of communication that were previously closed for the vast majority of the world. Anyone with an Internet connection can now head online and talk to someone on the other... Read More . 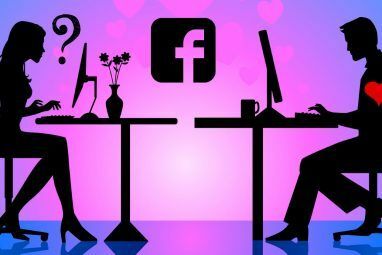 What makes Facebook so attractive to you? Wow! Some of the above commenters seem to have taken extreme exception to this article, inferring from it that Tina was personally claiming/advocating all nine points she listed. I personally appreciated the article, taking it (I believe) in the spirit it was meant - to inform readers just how much Facebook has pervaded modern society by highlighting *some* of the reasons - good or bad - people use Facebook, illustrating how VERY dependent many people (not ALL people!) have become on the varied uses of Facebook. That was exactly the intention of the article. Thanks for a great comment, Heather. I agree Facebook is a serious addiction. I know people who cant literally live without it. I was very ticked off at Facebook adding my FB contacts to my new iPhone. It took me a month to figure out how to now show them but they are still there. How in the world do I get them to go away (off my phone)? My friends and family members do post but most are too busy to say much or post photos etc. So, why do I stay? I have no good answer. ROFL Good article. I would like to clarify that I do think Facebook is a great tool that can totally be used for good things and I'm glad it exists! At the same time, I think many of us depend on it a little too much and that's never a good thing. We should aim for balance. Like it or not, Facebook and social media in general are a part of modern life. With that in mind, please view this article as a little exercise. To change something, you must first become aware of what is wrong. If you can identify with all of my points, you might actually depend on Facebook too much. Do you want to be in that position? If you don't or if you want to be on the safe side and have a Plan B, take a moment to reflect what that could look like. I provided tips where technology can help you. Some of the other points are much harder. Maybe you really don't need Facebook to stay in touch or feed your ego. It's convenient, but if your world fell apart if you no longer had access to Facebook, then something is clearly wrong. Maybe you just came here to seek for confirmation that Facebook is crap. Well, let me tell you that the lens with which you look at the world is awfully one-sided and clouded. Do you have the capacity to see things from more than one perspective? I challenge you! 1) "It Caters to Your Curiosity...."
Sorry, it doesn't apply to me. Tha fact is: I don't care at all about the private lives of my artificial "friends" that I rarely, if ever, meet in person. 2) "It Helps You Stay in Touch..."
Wrong. How about seeing your friends face-to-face, or call them on the phone? How about email? 3) "Your Ego...You enjoy being part of the group and want people to take notice of you. Nothing boosts the ego like receiving a Like...."
Oh boy, this statement is sooo ridiculous. Only if one is emotionally insecure or suffers from low self esteem should fall in this category. Maybe some impressionable teens, but majority of healthy adults are not like that. 4) "It Stores Personal Memories..."
Yes, if one is stupid enough to do something like that. In fact, I feel sorry for anyone who stores anything personal on Facebook. It is a big NO ! NO ! Any written word, posted picture or videos are readily available for anyone to use against you at any time - police, your nasty neighbours, schoolmates, or your boss at workplace. 5) "It’s Part of Your Work..."
No, it isn't. It is part of our work disruption, anti-intellectual exhibitionism, and waste of time, where nothing creative is achieved. 6) "It Knows the Birthdays of Your Friends..."
Maybe, but it is not the only one. There are hundreds of similar applications, or websites which offer the same functionality. For example, I use ReminderFox, a Firefox extension directly from the browser. No need to go to Facebook. As for my smartphone, Google Calendar offers the same services. 7) "You Will Miss Out on Events..."
Maybe, but I will not cry. Anything organized on Facebook doesn't interest me. Serious people will call me on my phone, or sent me an email about an event. Special occasions demand regular mail as well. That is serious business. Anything other that, especially Facebook events, are considered childish, amateurish and plainly laughable. 8) "You Will Lose Your Social Logins and phone contacts..."
Big deal! My phone contacts are far away from Facebook so I don't need to worry. As for the fact that more and more applications or websites force you to use Facebook to log in is especially troublesome to me. It is an open attack on our privacy, an instrument of control, and a channel to receive unwanted spam or viruses. Don't we realize? 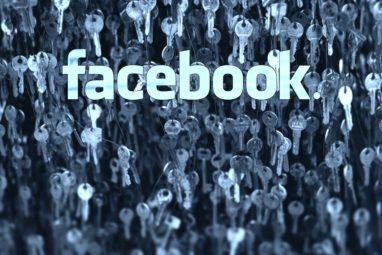 Facebook has been proven the least secure of all social networks . Yet, some people, like this article, give a false impression that there is no life beyond Facebook. It is shrewdly divinized by those who wants us to be slaves. Thanks for sharing your view of things. It's a good reminder that Facebook isn't everything. So you took a lead with your comment. Where do you want us to follow? Into believing that Facebook & Co. are evil? Where are your shades of grey? Facebook is like the hippy culture of the 1960's, everything was groovy. Then the flower children grew up and re-joined the main stream society and all of a sudden their youthful indiscretions are starting to matter to people that count. Now the Facebookers have realized that employers, police and others have unfettered access to all their incriminating posts and pictures, and it's "Oh s**t, how do I get rid of the evidence!!!" The chickens are coming home to roost. Wild oats are ready for harvest. "Where are your shades of grey?" Are there shades of grey with drug addiction? Some people never go past marijuana, others don't stop until heroin and crack. Either you are addicted or you're not. And nothing should turn into an addiction. This post could not have come at a better time for me, I was thinking about deleting my facebook as I've heard of friends being denied jobs due to the employer finding something slightly incriminating about them somewhere in the depths of the web that they (the friends) had completely forgotten about and didn't even know existed. Being that I know I have some things I wouldn't want an employer to see, I cannot imagine what I don't know is there and could be found, and I know I could try and pretend I'm the employer and hunt for it but there's still the possibility I could miss something. You don't have to delete your Facebook account or get a new one, you can set it to private and only share things with friends or friends of friends. Check your Privacy Settings. It's still advisable not to put anything on there you wouldn't want your employer to see. I was aware of this feature but have no idea why I did not think of using it, I will do this instead as it is a much easier option, thanks tina! "I’ve heard of friends being denied jobs due to the employer finding something slightly incriminating about them somewhere in the depths of the web"
A simple rule for Facebook and other social networks is - Do not post anything online that you would not put on the front page of your local newspaper. Re: Facebook. Not one of those nine points is relevant, at least not to me. But that's pretty much what 9 out of 10 commenters below are saying. The comments about this "stupid 'being social' age" and cyber-bullying are on point. When I first subscribed to MUO, it had really interesting articles. Recently I've noticed it's degenerated to a lot of claptrap and nonsense. I may have to unsubscribe soon. Just like I did FB, which admittedly took awhile, but was totally worth it. I assume unsubscribing from MUO won't be nearly as difficult. Right? RIGHT? I have tried downloading my data multiple times and it simply does not work. "What makes Facebook so attractive to you?" Absolutely nothing! If it wasn't for Facebook and other social networks, cyber bullying would be almost non-existent. In spite of all the warm-fuzzy feelings social networks generate, think of the misery and heartbreak they cause. "You Will Lose Your Social Logins...............Social logins are extremely convenient." OMG!!! The world is going to end! Social logins ARE convenient, for the hackers and other miscreants. You amaze me, Tina. MUO regularly runs articles on Internet security, strongly emphasizing the use of unique signons and password for each and every site. Then you, a big wheel at MUO, come along and advocate the use of one signon for all sites. Sends a very contradictory message to the readers. Are we to believe the articles or are we to believe you?! I challenge you to show me how I advocated the use of one signon for all sites. What I said was that social logins are extremely convenient. So people use them, myself included. What I did in this article was addressing the reality of things. Granted, it's the reality the way *I* see it. The article was meant to make readers reflect on how badly they depend on Facebook and maybe re-think that dependency. "Are you even aware of how deep you have slipped into the comfy confines of social networking?" You of all people should have noticed that the article is not exactly pro-Facebook. I was inspired by someone who got locked out of Facebook and lost all their contacts and logins. However, I took a slightly different turn on the story and pondered what happened if someone decided to actively quit. What would it involve? "I challenge you to show me how I advocated the use of one signon for all sites." OK. You did not exactly say "Use one signon for all sites". However, a statement like "Social logins are extremely convenient." from Tina Sieber does carry a certain weight and may imply a recommendation, especially for those readers who have not read the past articles on Internet security. Those readers who have not read our other articles have no clue who I am, so that statement carries exactly no weight for them. I think it's always better not to depend on Facebook Connect for all critical log-ins. Security wise too. Or any other social sign-in for that matter. Also, your logging in depends on the platforms availability and uptime...a particular case with Twitter. Your metaphor is not even worthy of "Cosmo". Nothing. The points you show as good reasons to stay in FB are irrelevants. The only valid reason is the curiosity, the rest is garbage. I can pick up the phone to stay in touch and the ego part is a childish approach. The rest of the reasons just are a consecuence of living in this stupid "being social" age. So people, download all your info and close your FB account. You´ll feel better not being held by the balls.